On Saturday 6th September 1941, Winston Churchill stood on a pile of bricks outside the newly-built Bletchley Park. With some emotion, he explained to the code-breakers how they had already transformed the course of the Second World War. Churchill knew that intelligence matters to Prime Ministers. It can be used to guide their most important policy decisions. It can help to prevent wars or – once they begin – can mean the difference between winning and losing. It can also be misused to justify pre-conceived policy desires. The secret world can resolve a political leader’s most difficult dilemmas, however it can also become a seductive panacea with secret service employed to carry out a Prime Minister’s dirty work. In its darkest moments it can consume those living behind the black door. Yet the subject of “intelligence at the top” remains unexplored. Despite more than half a century of co-operation and conflict, the connections between the most secret realm of government and 10 Downing Street have received little attention. The Black Door traces the fascinating road from circumspection to centrality looking at how each Prime Minster has engaged with the secret world. Moreover, we argue that Winston Churchill initiated a revolution in the use of intelligence during the middle of the twentieth century. His determination to harness the power of intelligence to decision-making changed the nature of the core executive in Britain. Even in inter-war years as a cabinet minister, Churchill made efforts to improve the flow of intelligence to Downing Street. Once he became Prime Minster in May 1940, he radically changed procedure, demanding raw intelligence fresh from agents in the field or from Bletchley Park. The head of MI6, Sir Stewart Menzies, was a constant visitor to 10 Downing Street, sometimes being summoned to Churchill’s bedside in the middle of the night. Moreover, Churchill loved action and so he also encouraged a new focus on deception, special operations and covert warfare. In short, during the early years of the twentieth century, British Prime Ministers were relative strangers to the world of espionage. They treated the subject either with indifference or outright suspicion. But with the arrival of Churchill in 1940, all that was to change. For five years, Britain’s fate hung in the balance and intelligence was often the winning factor. Thereafter, Britain’s next five Prime Ministers – all veterans of the Churchill wartime government – understood the value of secret sources. Schooled in the integration of intelligence and policy, his successors realised that this was a crucial instrument of statecraft the could turn the tide in the brush-fire wars of the Cold War and thereafter in hot wars such as Bosnia and Sierra Leone during the 1990s. Since 9/11, intelligence has moved from the shadows into the spotlight. Intelligence has ceased to be a matter that Prime Ministers can keep secret and instead has become a matter of intense public controversy. 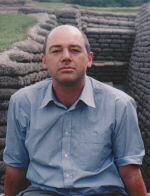 In 2005, Tony Blair was within a whisker of resignation as former Cabinet Secretary Robin Butler reported on his government’s use or misuse of intelligence during the approach of war with Iraq. His successors have struggled with the toxic legacy of renditions and accusations of the use of torture during the “War on Terror”. British Prime Minsters are learning to live with the good side of intelligence – and the bad. "This book deserves to be read very seriously. The authors are intimately familiar with the history of the modern intelligence community. " "Richard Aldrich and Rory Cormac are inexhaustible researchers, who use a wide range of archives (some only recently declassified) and include striking material from off-the record informants. The Black Door is a vital authoritative book." "...pioneering book...a major contribution to our understanding of British prime ministers over the last century. This is one of those rare books that deserve to change the way that modern British political history is researched and written." "good at finding telling detail." "Special operations, smear campaigns, surveillance, interception, assasinations, honeytraps, crackpots and fantasists, “sexed-up “ dossiers and dunderheaded use of the Official Secrets Act – all this makes for lively reading. " Romanian rights in The Black Door: Spies, Secret Intelligence and British Prime Ministers by Richard Aldrich and Rory Cormac. Swedish rights in Julia Boyd’s Travellers in the Third Reich. Hungarian rights in Roger Crowley’s Conquerors: How Portugal Seized the Indian Ocean and Forged the First Global Empire . 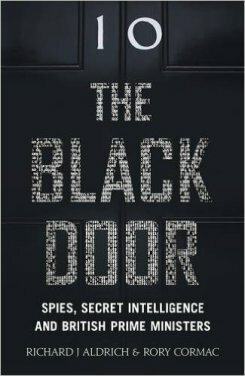 Chinese rights in The Black Door: Spies, Secret Intelligence and British Prime Ministers by Richard Aldrich and Rory Cormac. Dutch rights in Cathy Glass’s I Miss Mummy. American rights in Lawrence James’s Empires in the Sun: The Struggle for the Mastery of Africa, 1830-1980. Chinese rights in A Very Dangerous Woman : The Lives,. Loves and Lies of Russia’s Most Seductive Spy by Deborah McDonald and Jeremy Dronfield. Brazilian rights in Hitler’s Forgotten Children by Tim Tate and Ingrid von Oelhaven. French rights in Looking Through You: The Beatles Book Monthly Photo Archive by Tom Adams. Congratulations to Richard Aldrich and Rory Cormac whose The Black Door: Spies, Secret Intelligence and British Prime Ministers is no 5 in the Evening Standard’s non-fiction London Bestsellers.